Contact our office to receive a free, no obligation, confidential consultation with the attorney. Our years of experience can help evaluate your claim and assist you in receiving maximum recovery. No Recovery, No Fee in Most Injury Cases. The Law Office of Frederick S. Schwartz handles most personal injury cases on a contingency fee basis. In other words. if there is no recovery, there is no charge. Contact our office to see if your case qualifies for this type of fee arrangement. What The Insurance Adjustor Doesn’t Want You To Know About Your Claim! The insurance company isn't necessarily looking out for your best interest. For over 25 years, Frederick S. Schwartz has used his knowledge and experience as a former insurance company attorney to the advantage of his clients in getting them the outcome they deserve. 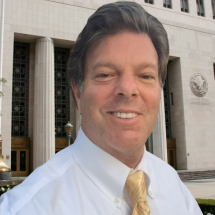 As a former insurance company defense attorney servicing Los Angeles, Frederick S. Schwartz has valuable insight into the mindset and frame of reference of the insurance company’s adjusters and lawyers. As a Consumer Protection Lawyer this gives his clients a big advantage in the negotiation, litigation, and settlement process. If you are in Los Angeles County and need consultation, contact our local Encino law office and we will be able to help you with any consumer law related information or questions you may have. If you have suffered a serious injury, been treated unfairly or been denied a benefit or right, call the Encino Law Office of Frederick S. Schwartz to receive personal legal representation that you can trust. We have served many people in the Los Angeles, CA communities and are here to protect your consumer rights! Learn More About Fred Schwartz. Our consumer law office handles car, trucking, motorcycle, pedestrian, and bicycle accidents. From the sale of consumer goods to accident insurance claims, our lawyers can advocate for you. Our law firm represents working people and will fight for your consumer rights. Let our attorneys represent you in cases that fall under civil law. We represent collective claims from a large croup of individuals. If you feel your consumer rights have been violated, contact our consumer attorneys today. For any injury, physical or mental, we’re here for you. See a complete list of fields our Sherman Oaks based consumer law firm specializes in.